A decadent creation I whipped up for my sweet family. To Make the Cupcakes: Preheat the oven to 180 C . Line 14 cupcake cavities with paper liners. In a bowl, sift together the flour, cocoa powder, baking soda, and salt. In a separate bowl or large mixing cup, whisk together the buttermilk, sour cream, and coffee (or water). In the bowl of a large stand mixer fitted with a paddle attachment, beat together the butter and sugars until they’re light and fluffy, about 3-5 minutes. Add the eggs one at a time, beating well after each addition, then add the vanilla extract. With the mixer running on low speed, add a quarter of the dry ingredients. When it’s mostly mixed in, add a third of the liquid ingredients. Continue to alternate adding drys and liquids, ending with the dry ingredients. When the drys are almost all mixed in and only a few streaks of flour remain, stop the mixer and finish mixing by hand with a spatula. Scrape down the bottom and sides of the bowl. Scoop the batter into the lined cupcake pans. Bake in the preheated oven for 22-25 minutes, until the tops of the cupcakes spring back when lightly pressed. Cool completely. Don’t make the filling until you’re ready to fill the cupcakes. Combine the caramels, cream, and butter in a microwave-safe bowl. Microwave in 30-second increments, stirring well after every 30 seconds. They may resist melting and coming together at first, but continue to stir and heat until you have a smooth, fluid mixture. Add the chopped peanuts and stir them in. Combine the butter and peanut butter in the bowl of a large stand mixer fitted with a whisk attachment, and beat on medium-high speed until light and fluffy. Add the vanilla, cream, and icing sugar, and mix on low speed until the sugar is moistened. Raise the speed to medium, and continue to beat until the mixture lightens and becomes fluffy and smooth. Add the marshmallow cream/fluff and stir it in by hand using a rubber or silicon spatula, scraping the bottom and sides of the bowl well. Once the frosting is well-mixed, spoon it into a pastry bag/icing bag fitted with a large star tip. Use a sharp paring knife to cut a cone-shaped hole out of the top of the cupcakes. Scoop the caramel-peanut filling into the hole, coming almost all the way to the top. Cut the bottom off of the cupcake cone, and replace the top of the cupcake on top of the caramel. If the caramel starts to get a little hard to work with, microwave it briefly until it is fluid again. Once all of the cupcakes are filled, pipe the frosting on top in one big decorative swirl or simply apply with a knife if you wish. Top with chopped snicker pieces. If you like you can drizzle fudge sauce or chocolate ganache and a sprinkling of chopped peanuts as well on top (this adds to the decadent appeal if you prefer). Store Snickers Cupcakes in an airtight container at room temperature, and enjoy within 3-4 days if they last that long. You may have noticed that in my photo I also have cakes cooked in pavlova cases. This was an experiment of mine and it worked beautifully. I purchased a box of store bought pavlova/ meringue cases, I had to hollow them out slightly. Then simply poured the cake mix into them and placed them in the oven. I was not sure if they would burn or would not turn out well , but to my amazement they turned out perfect and I was pleased as these are wonderful for entertaining or for that special treat after a special dinner. A bit too complicated for me to make with two young ones needing my attention. Would happily eat one if someone offered. Looks too complicated for me but if someone else wants to make them and send me a sample, I won’t mind at all. It does look and sound delicious though. Interesting. There’s a lot going on there, but looks delicious. Hi youngoldlady,and any other lovely moms interested. 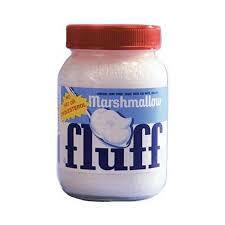 Coles sells this marshmallow fluff…as do many other online sites as it is an american delicacy. oh how yummy and interesting. Interesting combos. Would never had thought of using meringues as a base. Just need to find out where to get the bottle marshmellow whip. seems a little too complicated for me to make! I like the cupcakes,they look delicious! Oh my, get in me NOW! These look a bit tricky for me, but it’s a challenge I’d love to take on. Thanks for sharing! These are a wonderful treat for a special occasion. Love your personal touch with the pav cases. An ingenious and creative recipe idea; thanks for sharing!. This is all new to me but sounds delicious!